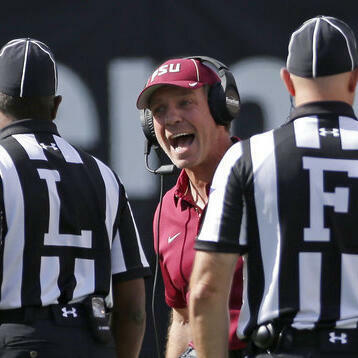 Audioboom / What is Jimbo Fisher doing wrong at Florida State? Bud Elliott of SBNation and Tomahawk Nation joins AP college football writer Ralph Russo to discuss the problems with Florida State and why Jimbo Fisher gets fourth down wrong. Also, are NC State and Miami threats to win the ACC, and how good is blue-chip QQ recruit Justin Fields?